It’s 9 pm and this is the last recipe in my baking project. Woo hoo!!!! I can’t believe I ate the whole thing. Wait. I mean I can’t believe I made every grand prize winning recipe in the Pillsbury Bake-Off thus far. It’s been fun to get to know all of these recipes that have actually won a million dollars. It’s like the olympics of baking. I feel like I’ve done some time travel as well. Starting with the first recipe in 1949. Making the recipes through all of the decades from then until now has been quite a trip! And they have become a part of me. Literally. I will definitely need to drop a few pounds after this. But it’s been amazeballs! Thanks for following along with me. 🙂 That brings us to recipe number 52. 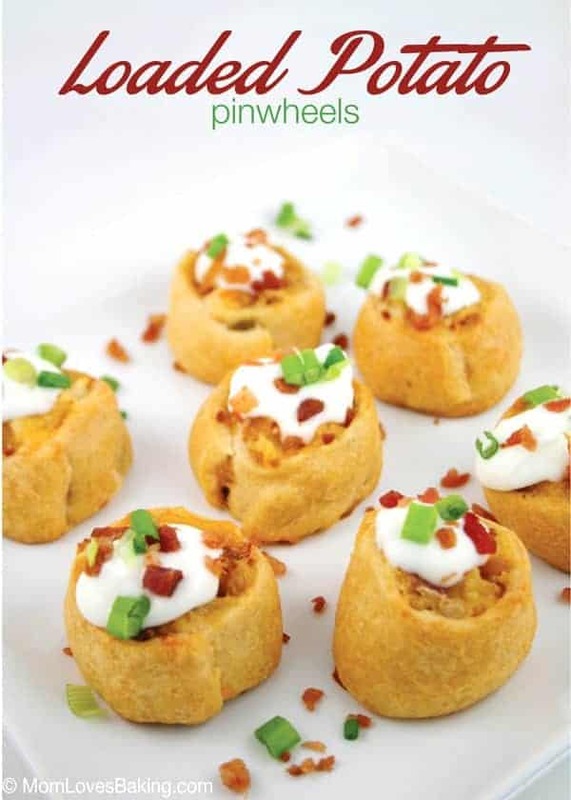 Loaded Potato Pinwheels won the 46th Pillsbury Bake-Off in 2013. 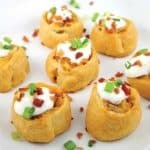 Recipe on Pillsbury.com by Glori Spriggs of Las Vegas, Nevada. p.s. I also made this year’s winner. Click here to see the million dollar winner for the 47th Pillsbury Bake-Off of 2014, Peanutty Pie Crust Clusters by Beth Royals of Richmond, Virginia. Start with these Green Giant Backyard Grilled Potatoes. Cook for a few minutes. Mash them up, then add grated cheese, bacon bits and a little milk. Mix it all up. 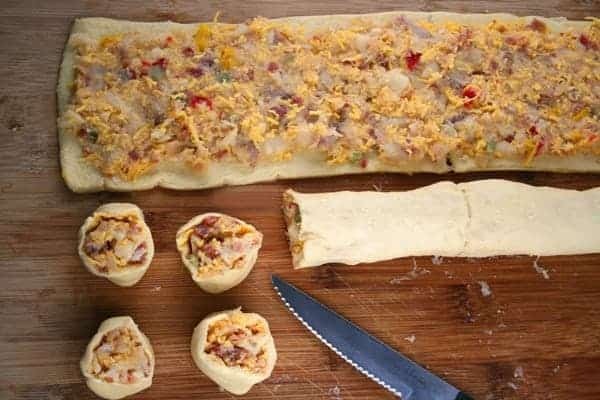 Unroll the crescent roll dough in one big piece on a cutting board. Roll it out until it’s 14″ x 8″. Cut in half lengthwise. 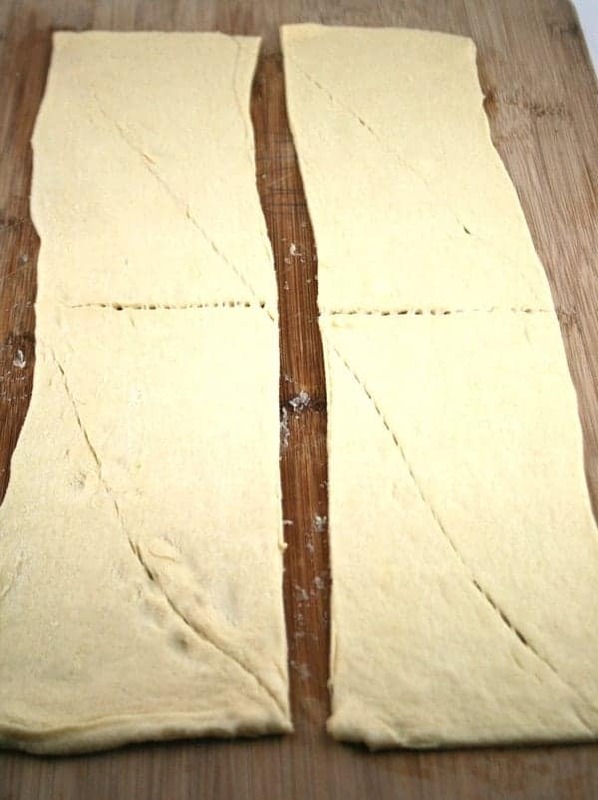 Spread potato mixture onto dough, leaving a 1/4″ border. 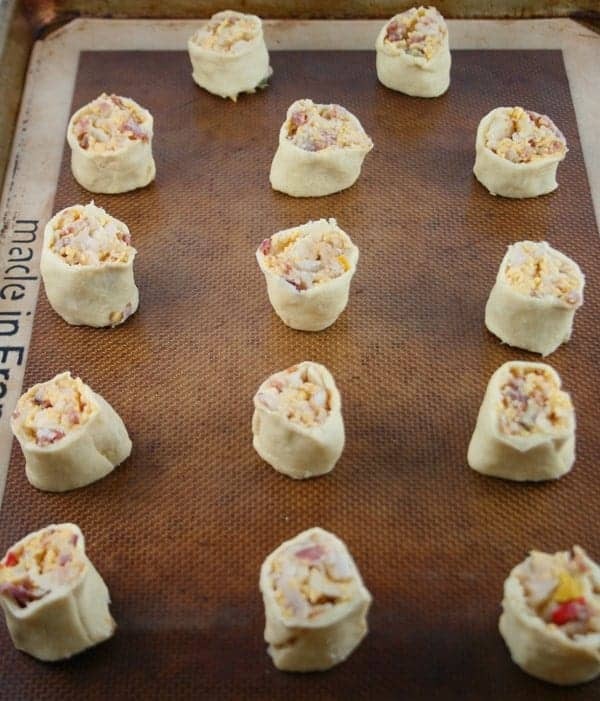 Roll them up and cut 14 pinwheels from each bundle of dough and potatoes. Place on greased cookie sheets (I used a silpat lined pan). Bake about 20 minutes at 350°F. 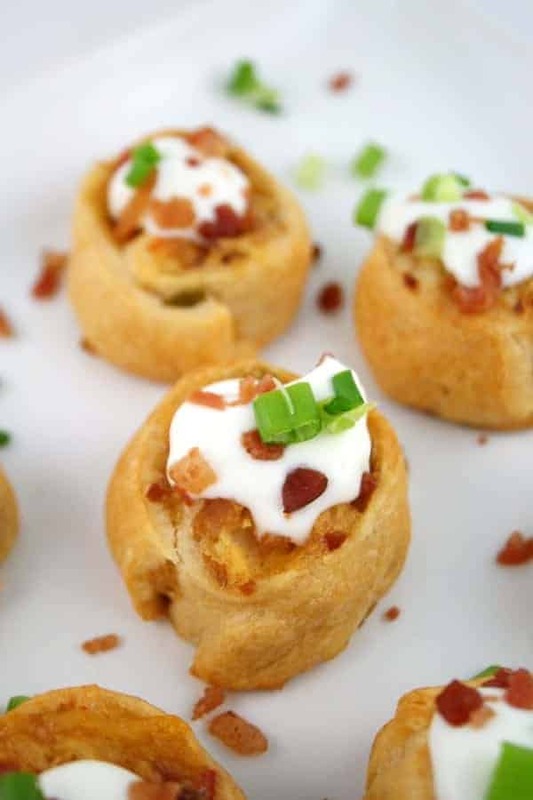 Serve with sour cream, green onions and more bacon bits. 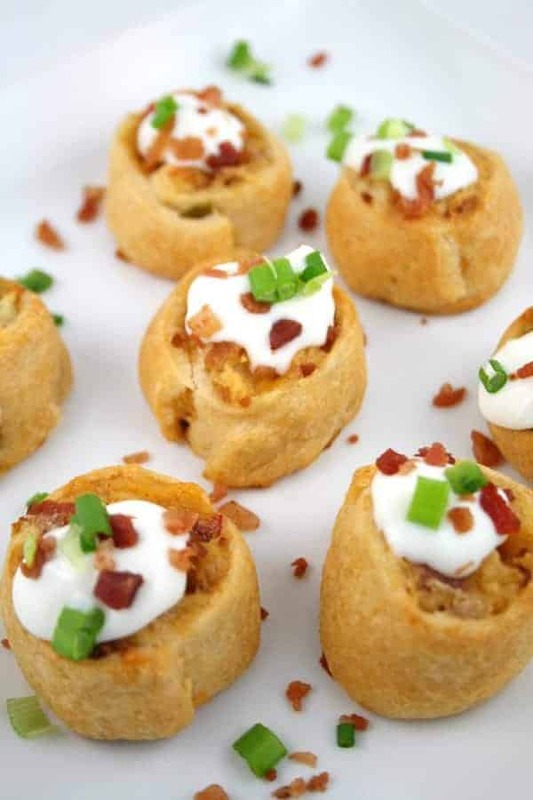 Enjoy every creamy, cheesy and bacony bite. It’s a unique little appetizer that keeps you coming back for more. Looks lovely and sure to please at a party. Heat oven 350°F. Spray 2 large cookie sheets with Crisco® Original No-Stick Cooking Spray. 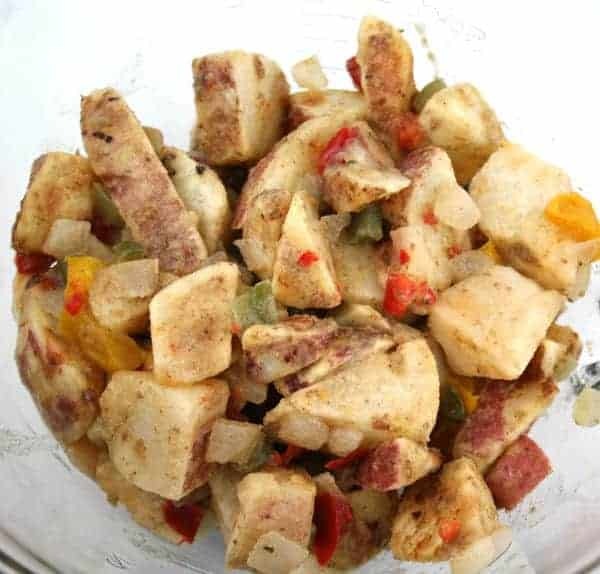 Microwave frozen potatoes 3 to 4 minutes to thaw. In medium bowl, with fork, mash potatoes leaving some small pieces. Stir in cheese, 1/3 cup of the bacon bits and the milk until well blended. If using crescent dough sheet, unroll dough on cutting board; press into 14x8-inch rectangle. If using crescent rolls, unroll dough on cutting board, press into 14x8-inch rectangle, firmly pressing perforations to seal. Cut into 2 rectangles, 14x4-inches each. Spread half of the potato mixture on one rectangle to within 1/4-inch of long edges. Starting at one long side, tightly roll up dough; pinch seams to seal. Using serrated knife, cut roll into 14 slices. Place slices, cut side up, on cookie sheets. Repeat with remaining dough and filling.